As guest for this month I would like to introduce my friend, the prolific writer and sapient editor Deborah J. Ross. My first encounter with Deborah's work was many years ago, with her first SF novel, Jaydium, but there's a whole lot more. Her short fiction has appeared in F &SF; SF, Asimov's, Star Wars: Tales From Jabba's Palace, Realms of Fantasy, Sword & Sorceress, and various other anthologies and magazines. Her most recent full-length fiction includes the Darkover novel, The Children of Kings (with Marion Zimmer Bradley, (Amazon, Barnes and Noble); Lambda Literary Award Finalist Collaborators, an occupation-and-resistance story with a gender-fluid alien race (as Deborah Wheeler,(Amazon, Barnes and Noble); and The Seven-Petaled Shield, an epic fantasy trilogy (Amazon, Barnes and Noble). She’s also the author of Azkhantian Tales and Ink Dance: Essays on the Writing Life, (Book View Café, Barnes and Noble). Deborah's editorial credits include two volumes of Lace and Blade, The Feathered Edge: Tales of Magic, Love, and Daring (Amazon, Barnes and Noble,) Beyond Grimm (with Phyllis Irene Radford) (Book View Café, Amazon, Barnes and Noble), Mad Science Café (Book View Café, Amazon, Barnes and Noble), Across the Spectrum (with Pati Nagle,(Book View Café, Amazon), and the forthcoming Stars of Darkover (with Elisabeth Waters). She’s attended Launch Pad Astronomy Workshop, served as Secretary of SFWA, and is a member of the online writer’s cooperative publisher, Book View Café. 1)When did you know you wanted to be a writer? In fourth grade, I wrote and illustrated a little book about a horse who saved the world by stopping all the animals in Africa from fighting with one another. Ever since then, writing was what I loved to do, even if I feared I would never be any good at it. Happily, I am, but I've also had a lot of practice. When my first child was born and I hit career burnout, I joined an informal writers group and shortly thereafter made my first professional short story sale to Marion Zimmer Bradley for the first volume of Sword & Sorceress. That was thirty years ago and I’ve been writing up a storm every since. 2) What is your writing process? When do you write? I wish I could say I followed a disciplined schedule because part of the time, that’s true. The other part of the time, I “settle” at different times during the day, and work in different places and for different lengths of time. The only consistent principles are that I work every day, even if it’s only contemplating the next scene while walking the dog or washing the dishes, and I don’t work well at night. As I’ve gotten older, I also don’t work well first thing in the morning, either. I need my tea and yoga stretches first. It isn’t fair, but there’s no benefit in pretending otherwise. I'm interested in a lot of different things and write for readers who are, too. My first two novels, Jaydium (an adventure through alternate time paths, complete with six-foot silver slug-like aliens) and Northlight (set on a lower-tech world, with romantic, ecological and spiritual themes) were science fiction. Besides six Darkover novels, I’ve written epic fantasy featuring strong women heroes, science fiction dealing with gender and power, and some rather oddball young adult fiction that turns the usual paranormal tropes inside out. 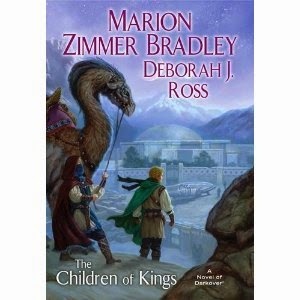 Marion Zimmer Bradley was my friend and mentor; my natural literary “voice” is very similar to hers, which is why I’ve been able to continue her Darkover series so successfully. She was a source of great encouragement as well as inspiration, particularly in her willingness to tackle emotionally difficult or controversial subjects. But the real reason I write fantasy and science fiction is Andre Norton. In high school, I was bored to tears by such writers as Heinlein, and then I discovered Norton. Her combination of sympathetic outsider protagonists, telepathic animals, and star-hopping adventures, hit all the right emotional chords for me. As I grew up, I loved the work of women writers like Ursula K. Le Guin, Diana Wynne Jones, Tanith Lee, Vonda N. McIntyre, Barbara Hambly, Chelsea Quinn Yarbro, Anne McCaffrey, C. J. Cherryh, Octavia Butler, Madeleine L’Engle, Lois McMaster Bujold, and many others. It’s not that I don’t read and enjoy work by men, because there are many fine men writers out there, but the greatest influence has come from women writers. 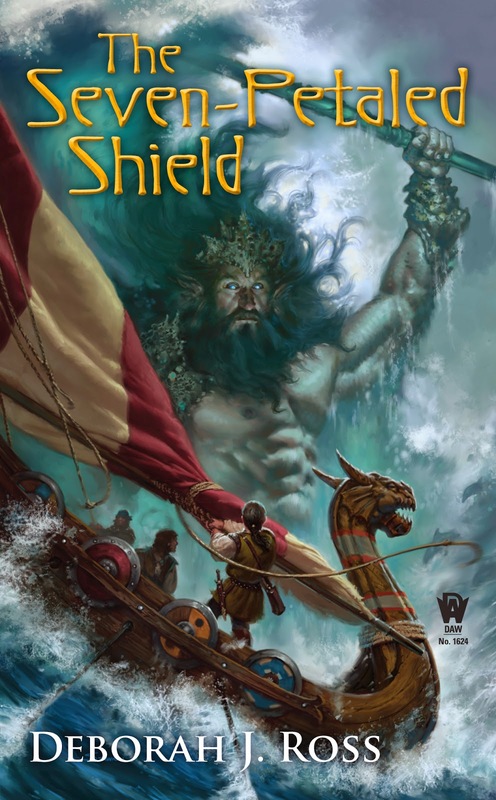 The Heir of Khored, the final volume of my original epic fantasy, The Seven-Petaled Shield, will be released from DAW in June. I had such fun writing it, pulling out all the emotional stops. Well, undoubtedly everyone else will be saving Shakespeare’s complete works, various religious scriptures, and The Lord of the Rings, so I’ll settle for collected poetry of Mary Oliver. I’m not much of a poet, so I admire people who are, and her work is wondrous and awesome. Second thought, I might dash into the music section to rescue the orchestral scores for Mozart’s symphonies. 8) What advice do you have for new and aspiring writers? Meanwhile, write every day, even if it’s crap. A very thoughtful interview--I feel like Deborah a lot better than I have before. Well done, great questions.